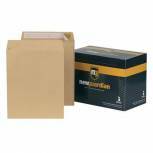 Q-Connect C3 Envelope 457x324mm Pocket Self Seal 115gsm Manilla (Pack of 125) 2505 Pack of 1 Q-Connect Heavyweight Manilla Envelopes. Tear-resistant basket weave manilla. Ideal for bulky documents and catalogues. Manufactured from 115gsm manilla with a self-seal flap. C3 457mmx324mm. Q-Connect Envelope 254x178mm Pocket Self Seal 115gsm Manilla (Pack of 250) 8306 Pack of 1 Q-Connect Heavyweight Manilla Envelopes. Tear-resistant basket weave manilla protects your contents and withstands rough handling. Ideal for bulky documents and catalogues. 115gsm manilla with a self-seal flap. 254mmx178mm. 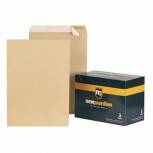 New Guardian C3 Envelope 457x324mm Pocket Peel and Seal 130gsm Manilla (Pack of 125) C27013 Pack of 1 New Guardian Heavy Duty Envelopes. 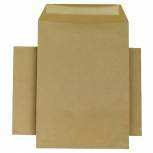 Peel and seal pocket envelopes perfect for mailing heavy or valuable items. Weight - 130gsm. C3 457mmx324mm. 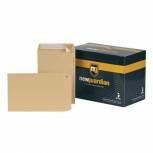 New Guardian Envelope 305x127mm Pocket Peel and Seal Easy Open 130gsm Manilla (Pack of 250) C27603 Pack of 1 New Guardian heavyweight manilla envelopes suitable for mailing heavy or valuable items. Manufactured from high quality 130gsm paper. Peel and seal with easy open tear strip. 305 x 127mm. Pack 250. 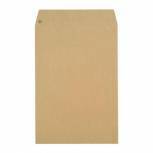 Q-Connect Envelope 89x152mm Wallet Gummed 70gsm Manilla (Pack of 1000) 721166 Pack of 1 Q-Connect Manilla Envelopes. Budget envelopes. Manufactured from 70gsm manilla with a gummed flap. 89mmx152mm. 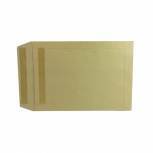 New Guardian Envelope 98x67mm Pocket Gummed 80gsm Manilla (Pack of 2000) M24011 Pack of 1 New Guardian Envelopes. 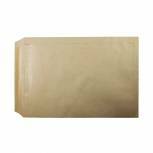 Top quality manilla envelopes with gummed closure. Weight - 80gsm. 98mmx67mm. 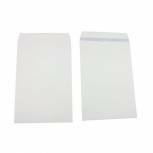 Q-Connect Machine Envelope 162x238mm Window Gummed 90gsm White (Pack of 500) KF02898 Pack of 1 Banker envelope with triangular flap. 90gsm lightweight design for flexible use. Gummed closure. Window dimensions 45x90mm. Window position 20mm in 72mm up. Supplied in a pack of 500. Oversized C5 H162 x L238mm. 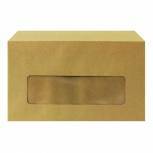 Q-Connect Envelope 89x152mm Pocket Centre Window Gummed 70gsm Manilla (Pack of 1000) KF3431 Pack of 1 Q-Connect Manilla Window Envelopes. Budget envelopes. Manufactured from 70gsm manilla with a gummed flap. 89mmx152mm. 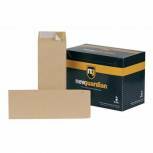 New Guardian Envelope 305x250mm Pocket Peel and Seal 130gsm Manilla (Pack of 250) L27103 Pack of 1 New Guardian Envelope. Heavy duty. Peel and seal pocket envelope. Weight - 130gsm. 305 x 250mm. 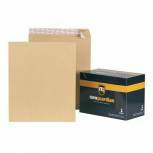 New Guardian Envelope 444x368mm Pocket Peel and Seal 130gsm Manilla (Pack of 125) B27713 Pack of 1 New Guardian Heavy Duty Envelopes. Extra strong manila. 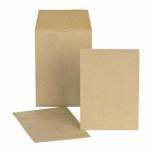 Peel and seal envelopes ideal for sending out brochures etc. Weight - 130gsm. 444 x 368mm. Q-Connect B4 Envelope 353x250mm Pocket Self Seal 90gsm Manilla (Pack of 250) KF02893 Pack of 1 Pack of 250 plain manila envelopes. Made of quality 90gsm paper. Self-adhesive flap. Ideal for cards and non-standard format papers. B4 353 x 250 mm. 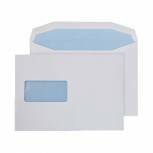 Q-Connect B4 Envelope 353x250mm Pocket Self Seal 100gsm White (Pack of 250) KF02896 Pack of 1 Pack of 250 plain envelopes. Made of quality 100gsm paper. Self-adhesive flap. Ideal for cards and non-standard format papers. B4 353 x 250 mm. 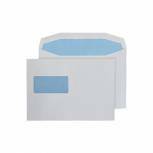 Q-Connect Machine Envelope 162x238mm Gummed 90gsm White (Pack of 500) KF02897 Pack of 1 Banker envelope with triangular flap. 90gsm lightweight design for flexible use. Gummed closure. Ideal for business and personal mailings. Supplied in a pack of 500. Oversized C5 H162 x L238mm. 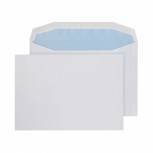 Q-Connect Machine Envelope 162x238mm Window Gummed 80gsm White (Pack of 500) KF71434 Pack of 1 Q-Connect Gummed White Banker Window Envelopes 162 x 238mm. Features window size 45 x 90mm - position 20mm in 60mm up. New Guardian Envelope 330x279mm Pocket Peel and Seal 130gsm Manilla (Pack of 125) H23213 Pack of 1 New Guardian Envelopes. 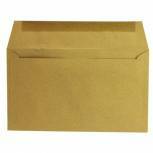 Top quality manilla envelopes with peel and seal closure. Weight - 130gsm. 330mmx279mm. New Guardian Envelope 254x178mm Pocket Peel and Seal Easy Open 130gsm Manilla (Pack of 250) C26803 Pack of 1 New Guardian Envelope. Heavy duty. Peel and seal. Pocket envelope. Weight - 130gsm. 254mmx178mm. New Guardian Envelope 353x229mm Pocket Peel and Seal Easy Open 130gsm Manilla (Pack of 250) E27303 Pack of 1 New Guardian Envelope. Heavy duty. Peel and seal pocket envelope. Easy open tear strip. Weight - 130gsm. 353 x 229mm. Q-Connect Envelope 254x178mm Pocket Self Seal 90gsm Manilla (Pack of 250) KF3445 Pack of 1 Q-Connect Manilla Envelopes. Budget envelopes. Manufactured from 90gsm manilla with a gummed flap. 254mmx178mm. 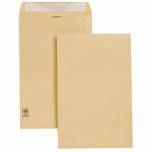 Sage Original Pay Envelopes Pack of 1 Sage Payslip Envelopes are standard size pay envelopes, and are to be used with Sage Payslips (both Laser and Continuous). Designed for use with Sage Payslips (both Laser and Continuous). 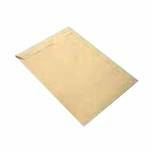 Sage Payslip Envelopes are available in quantities of 250 or 1000.